Drownyard Temple is listed twice and The Tabernacle at Pendrell Vale is banned in commander. Other than that, solid list. Play Paradox Engine because it’s the best artifact in EDH. @Mishraharad, That's understandable. 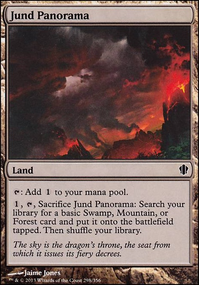 Reconsidering your stax pieces a better fit for your deck would be Flameshadow Conjuring + Felidar Guardian + Mountain or any land/artifact that comes untapped and can produce . You have Flameshadow Conjuring in play and a Mountain . You then proceed to cast Felidar Guardian . Both the Felidar and the Flameshadow trigger. You'll always resolve Felidar Guardian 's ETB first targeting your Mountain to flicker and untap it. Then you can tap the Mountain to pay Flameshadow Conjuring 's triggered ability creating a hasty Felidar Guardian token. Because a token enters Flameshadow Conjuring does not trigger again, so instead you have the Felidar Guardian token's ETB target the original Felidar Guardian blinking the cat and having it re-enter the battlefield again which will also re-trigger the Flameshadow Conjuring . You then repeat, cat blinks mountain, mountain makes another haste cat token, haste cat token blinks original cat, until you have enough hasty cats to deal lethal to everyone. Felidar Guardian is good as it can also combo off with Karmic Guide and Goblin Bombardment . Flameshadow Conjuring may not be an optimal stand alone card, but creating extra ETB's per turn will always give it something to do. Do note if your opponent kills the cat before you can go infinite you won't be able to reinitiate the combo for lethal by recurring the cat with your commander, as you'll have wasted the combat step doing so. However, if you do so with a Goblin Bombardment or Altar of Dementia you can then deal lethal as you'll have infinite tokens to sacrifice to anyways. 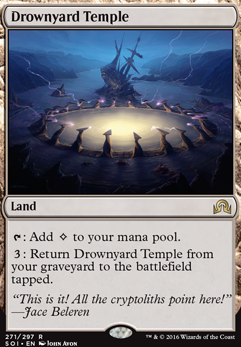 Mana Echoes + Goblin Trenches + Drownyard Temple = Infinite goblins, infinite colorless mana, and infinite landfall. Can be activated at instant speed on an opponent's end-step making the tokens safe from boardwipe. Endless Cockroaches + Deathrender + Goblin Bombardment = The equipped roaches die going back to hand, Deathrender triggers putting the roaches back on the field equiped to be sac'd again. 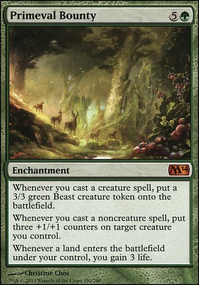 Teysa, Orzhov Scion + Darkest Hour + Goblin Bombardment + any other creature = Sac the other creature, since Darkest Hour made the creature black Teysa produces a 1/1 white spirit token. 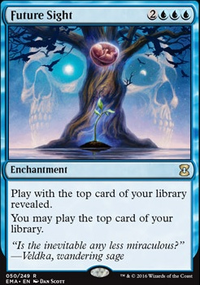 Darkest Hour however makes the spirit token black, so sacrificing the spirit will produce another black spirit, and again and again for endless sac-effects.